Want to start a part time business for earning more money? Online Business could be for you. Online business is very easy to start, require less time and money. You just need little technical expertise and inclination towards starting an online business. 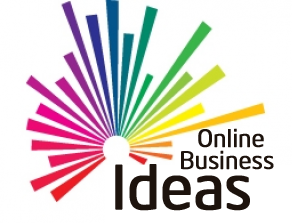 So let’s take a look at 5 Innovative online business ideas. Starting online food business is a good business idea. The business model of this idea is pretty simple and same like pizza hut model – Order food online and get it delivered at your door step. This business idea requires a minimum investment. The example of online food delivery business is Delfoo.com. Delfoo.com is running restaurant network. Hungry people can click or call and get food delivery at home. Payment can be made online or offline. This service is available in Vadodra and Surat. Earning is commission or fix margin base. This business idea is for earning money by making hungry people happy. Another innovative online business idea is to run cab booking service online. The business model of online taxi booking business is to send taxi/car at required place well in time. Time management and a good network of car/ travel agencies play very important role in this business. The example of online taxi booking business is Taxiforsure.com. At taxiforsure.com you just need to give pickup location drop location and time taxi will be available at your service. They also serve for some specific requirement like airport transfer, late night car hire, road trip or special car on a special occasion like an anniversary, birthday or even your marriage. This service is available at Majority of location in India. If you are found of books this idea is for you. You can start online book library business. The business model is quite simple you need to purchase number of books & display it online on a website. Make subscription plan and invoke people to become a member of your library. You can also think of delivering books at door step as per need. Example of Online book library business is Indiareads.com. At Indiareads.com you can become a member and get delivery of book at your home. Another innovative online business is toy renting. If you love to play with toys this idea is for you. You can start Online Toy renting portal. The business model of toy renting is very simple you need to purchase large number of toy and market it online on your website for renting. For that you can derive a plan for monthly, quarterly or yearly subscription. Deliver toy on rent as per age group and earn money. The example of online toy renting is rentoys.in. At rentoys.in you can become a member and start taking advantage of renting toys. This service is currently available at Mumbai, Bangalore, Hyderabad and Pune. Last but not least very successful online business idea is online bus ticket booking. The business model of online bus ticket booking is quite simple, you need to tie up with travel agencies and start booking of bus ticket online. The example of online bus ticket booking is Redbus.in. Redbus.in provide online bus ticket booking service. You can pick and choose bus seat online on the map. This service is available in a major city of India. Recently they have launch app for ticket booking. So what are you waiting for? Think of some innovative idea like above and start making money. If you like this Online Business Ideas do share it on Facebook and Twitter.